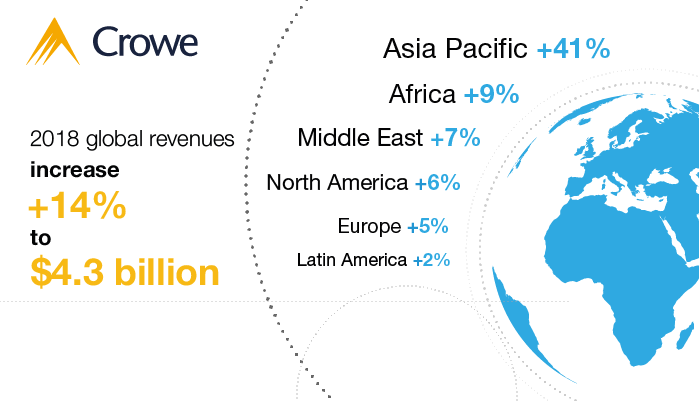 Crowe Global reports record revenues with 14% growth. Crowe Global announced its latest financial performance information, showing revenues of $4.3 billion (revenue growth of 14%) in 2018. The results show strong performance across the board for the world’s eighth-largest accounting network. 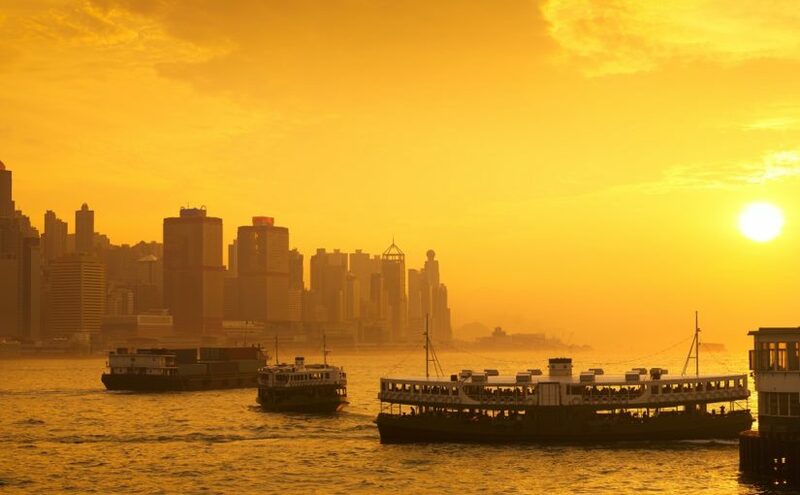 Geographically, each of Crowe’s regional groups experienced growth, with the Asia Pacific practice growing by 41%, Africa by 9%, Middle East by 7%, North America by 6%, Europe by 5% and Latin America by 2%.